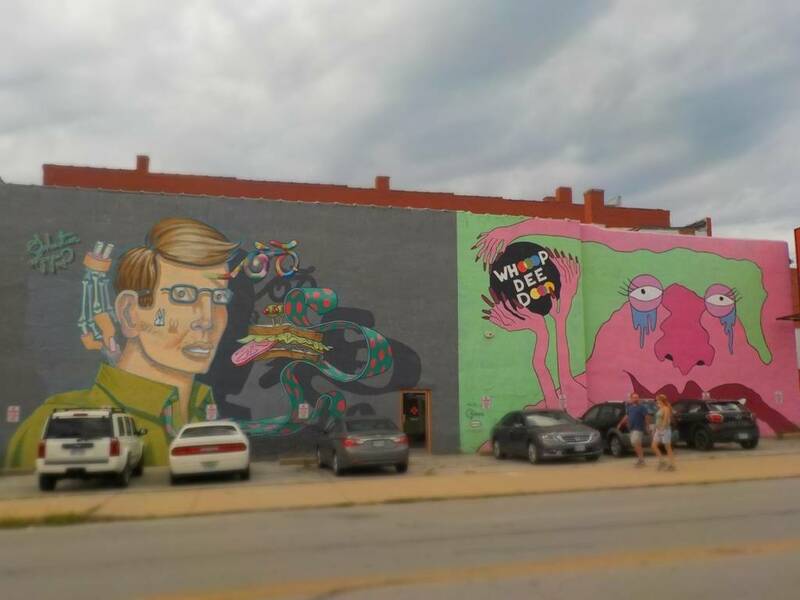 The First Friday Artwalk has become an extremely popular event in the Kansas City metro. We went in July, and even though the temperature was hovering in the 90’s, it didn’t slow down the foot traffic. We like to arrive toward the beginning of the event, as it is a little easier to find parking. Of course, these days the streetcar allows visitors to park in other areas of the city and ride to the Crossroads District. The event is spread across quite a large area, which seems to constantly expand. The main focus began along Southwest Blvd between Broadway and Main. A high concentration of galleries and businesses would feature local artists with impromptu showings. 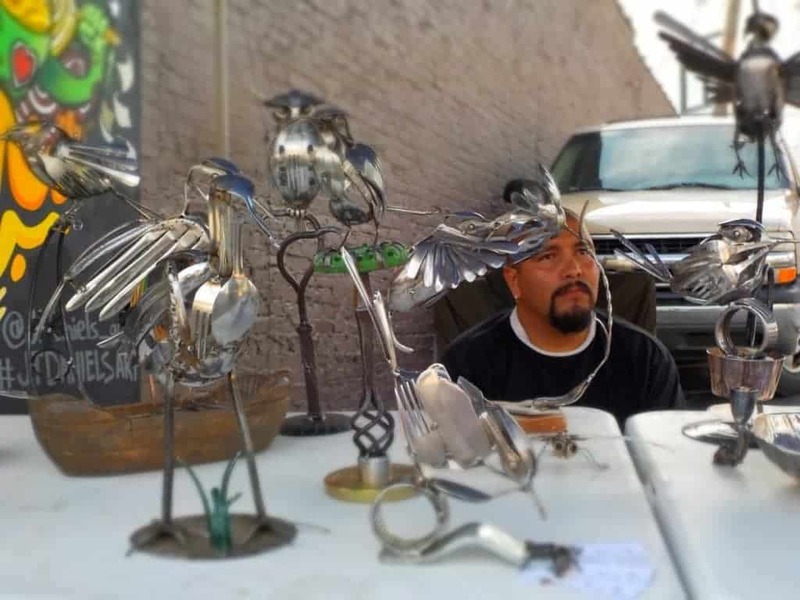 As the event became more popular, it drew more local artists to the area. Those that didn’t have the luxury of an indoor gallery, set up their displays on the sidewalks. Soon this portion of the event became just as large of a draw as the indoor spots. It created a stroll and mingle atmosphere that sparks conversations. Today the event still covers the original area, but has also spread out to the North and East. More and more businesses and restaurants have seen the positive economic impact this event has created, and decided they want to be part of it. Many will alter their hours for this one night a month to try to attract new customers. It is not unusual to see makeshift signs displaying special offers timed to coincide with the First Friday Artwalk. This works to the benefit of not only the businesses, but also the patrons. 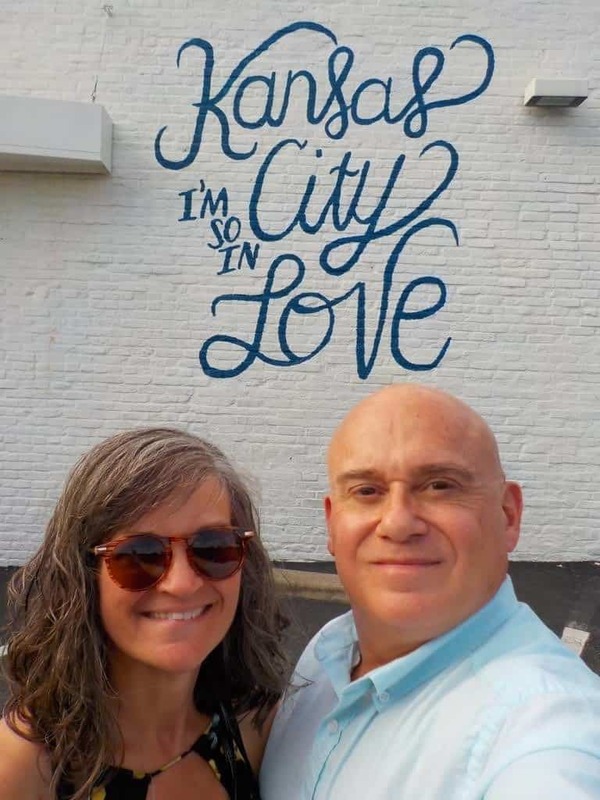 We use First Friday as a chance to test out new restaurants, and there is certainly an abundance in this region of the city. The First Friday Artwalk can be an amusing distraction, but at it’s core the purpose is to bring local art to the masses. As we wander the sidewalks, we will strike up conversations with those peddling their wares. Most of the time it isn’t very hard to find some common ground. After all, at the end of the day these artists are simply trying to make a living doing something they love. The variety of artistic styles are quite broad, and hard to describe. Many artists offer up their homemade jewelry, which makes for an affordable purchase. Others do their work with recycled materials, like the guy who re-purposes cutlery in an imaginative way. Not all of his pieces are small. 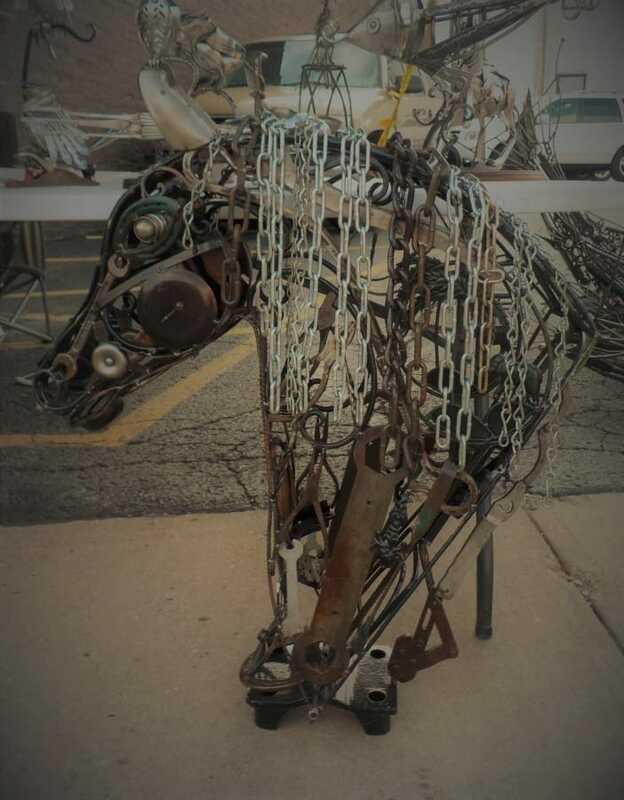 This horse sculpture is made from a variety of tools and other items one would find in a garage. When I saw it, I just knew I had to find a way to get it into this article. It would make for quite the conversation starter, but the idea of lugging it to our car prevented my asking for details. Just as I began to contemplate the possibility of home delivery, our attention was drawn to a barker nearby. Yeah, I know it’s an old style word, but barker is the best description for the person who was making the noise. 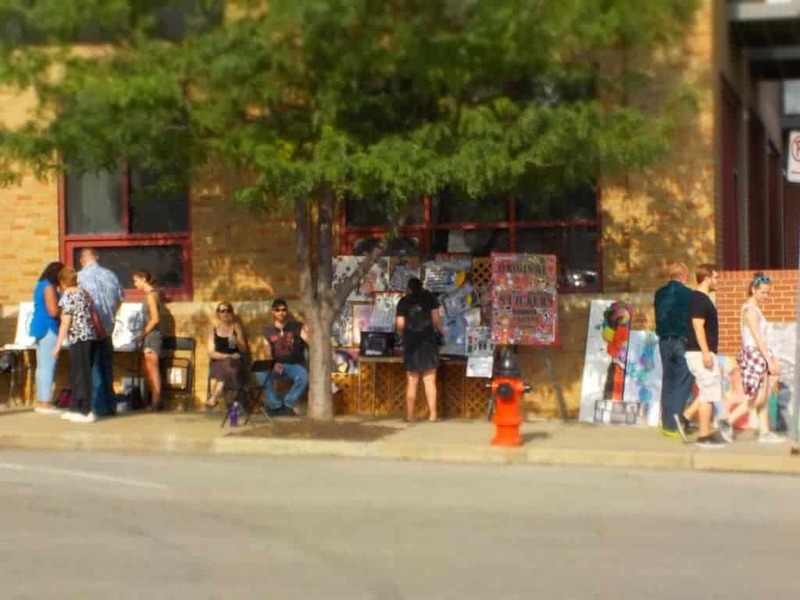 First Friday Artwalk isn’t just about artwork, it is also filled with performance artists. The gentleman nearby was preparing to do some street magic, and was working on assembling a crowd. It was quite apparent that he was having loads of success. We decided to forego the show, and squeezed by the crowd to continue down the sidewalk. Performance art can be just as varied as other forms of art. Besides magicians, we have seen break dancers, belly dancers, and fire jugglers. It seems that almost every couple of blocks we run into live music being performed. First Friday Artwalk has grown up, and offers an outlet for many of those trying to gain recognition. Some have a gimmick, while others just plop down a hat, and begin performing. Whatever the style, if you enjoy the performance make sure you drop a little something in the till. Remember, they are just trying to make a living. As I said earlier, we use the First Friday Artwalk as an excuse to sample new restaurants. Obviously, so do a lot of others. Now if you arrive a little later in the evening, many of the restaurants have long waiting times. Have no fear, there are options. East of Main, on 18th Street, you will find the street lined on both sides with food trucks. Of course, they are going to be out in force. 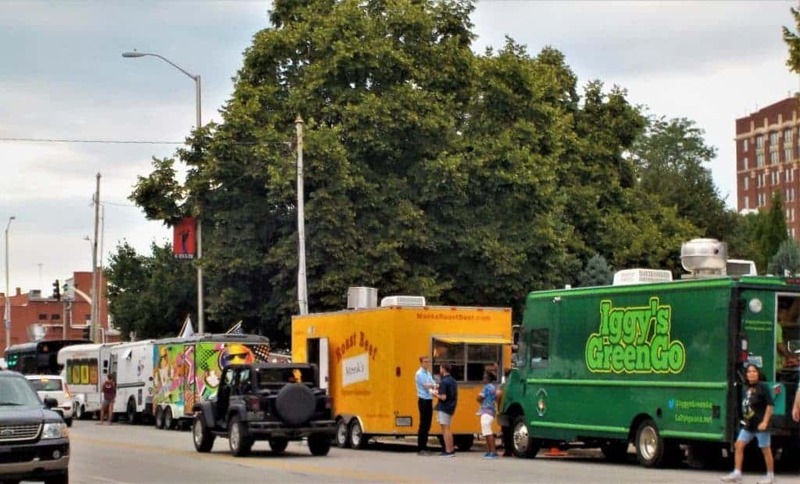 It’s a great opportunity to find a ton of foot traffic, which is the basis of the food truck’s customer base. Just about every cuisine type can be found here. Some have longer lines than others, and we often wonder about that. Is it the quality of food they offer or just the mood that the customers are in that evening? It may just be the old follower issue where once a long line starts others immediately assume it must be the best. This just perpetuates the issue, until enough break from the mold to start a line at a different truck. Oh well, I guess food truck psychology isn’t my forte. The Crossroads area has tons of places to capture a special moment from your visit. The one behind us is on Baltimore between 19th and 20th Streets. Be prepared to wait in line for your turn, but that means there will be plenty of others around to help you capture your moment. A lot of other unique landmarks an be found in the area, so keep your eyes peeled for them. 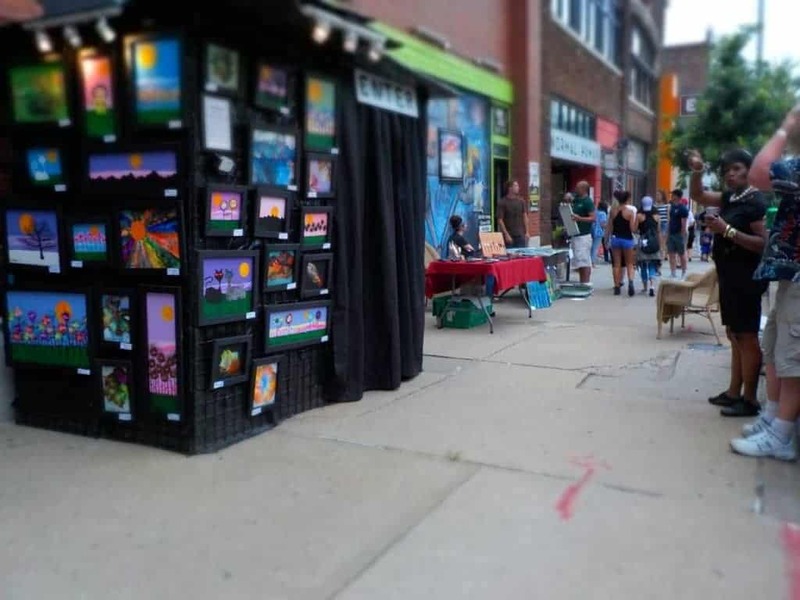 The First Friday Artwalk takes place on the First Friday of each month, so if you miss it there will be another opportunity. Perhaps we will bump into you at one of them. Just be sure to save us a seat at your favorite Crossroads restaurant. By the way, which one is your favorite?